San Francisco is a city enriched with history. Almost every street has buildings, plaques, monuments, and sculptures with unspoken stories. Each day, visitors and locals hear an interpretation of San Francisco’s history. The Culture Trip has found five eclectic history tours that will keep you thoroughly engaged. Emperor Norton speaking with locals and tourists. Navigating San Francisco’s vast history requires having a guide with expertise. No one besides Emperor Norton can show you around in regal style. In September 1859, Joshua Abraham Norton, a businessman whose riches depleted from a bad rice investment, declared himself Norton I, Emperor of the United States and Protector of Mexico. The reign did not carry any political influence; however, Emperor Norton issued many proclamations and decrees. He endorsed building a bridge from San Francisco to Oakland, along with a tunnel under the San Francisco Bay. No idea was impossible for Emperor Norton; many of his visions later came to fruition. Emperor Norton also paid San Francisco merchants with self-made currency. San Francisco celebrated Emperor Norton’s quirkiness. 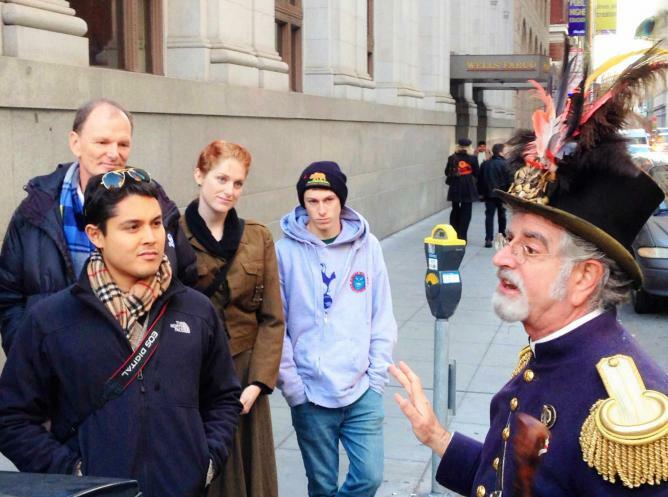 Today, Joseph Amster dresses up as Emperor Norton and conducts tours in San Francisco’s downtown and waterfront areas. The journey takes guests to the years 1859-1880, when Emperor Norton graced the San Francisco streets. Emperor Norton also makes special trips to revisit the California Gold Rush and early 1900s. Participants walk for two hours and thirty minutes with Emperor Norton, learning about prominent San Francisco events and locations. Tour stops range from St. Francis Hotel to Portsmouth Square. Emperor Norton’s Fantastic San Francisco Time Machine continues the tradition of fearlessness every Thursday and Saturday. Check out the website to schedule a tour. 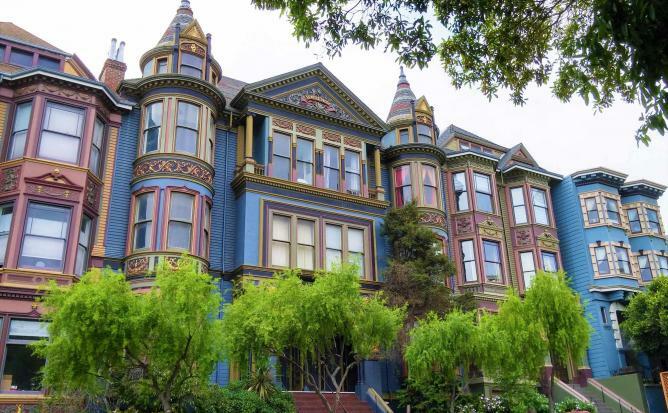 Victorian homes, also known as Painted Ladies, are iconic fixtures of San Francisco neighborhoods. They hold a special place in San Francisco’s history. Jay Gifford of Victorian Home Walk celebrates Victorian homes with a tour focusing on the less obvious things that make the homes picturesque. Attendees travel to the Pacific Heights and Cow Hollow districts to view over 200 Victorian homes and explore the insides while listening to unique stories. They learn how to notice the artistry of Italianate, Stick-Style, and Queen Anne Victorian architecture. Victorian Home Walk tours are two hours and thirty minutes long, with availability on Thursdays, Fridays, Saturdays, Sundays, and Mondays. No reservations are necessary. Peking Bazaar on Grant Ave.
Chinatown is a vibrant San Francisco district. The community has been a part of the city for 165 years. The tour gives locals and visitors insight into San Francisco Chinese history and culture. Historian and tour guide Rick Evans thoroughly explores Chinatown with groups. 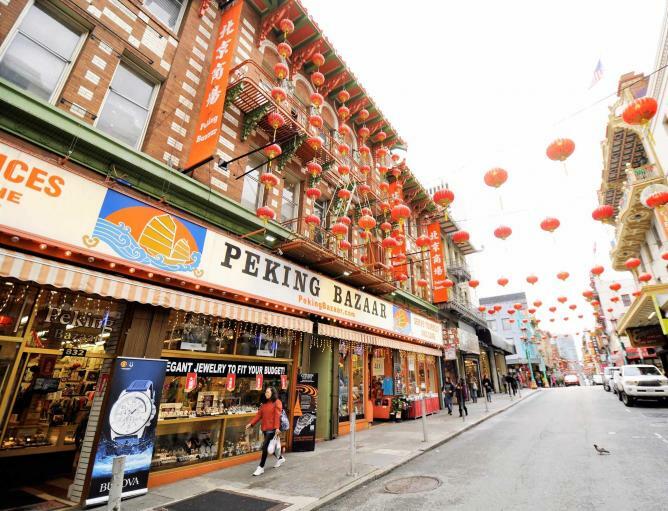 While navigating bustling Chinatown streets, Rick points out areas of San Francisco Chinese culture usually forgotten by cookie cutter tours. Early racial discrimination against Chinese immigrants and sacred temple rituals are topics discussed on the tour. Attendees favor destinations such as the Street of Painted Balconies. Tours range from two hours and thirty minutes to three hours long. The tours are private and require a reservation. Visit the San Francisco Chinatown Walking Tour website for more details. Captain speaking to people on Classic Tour. 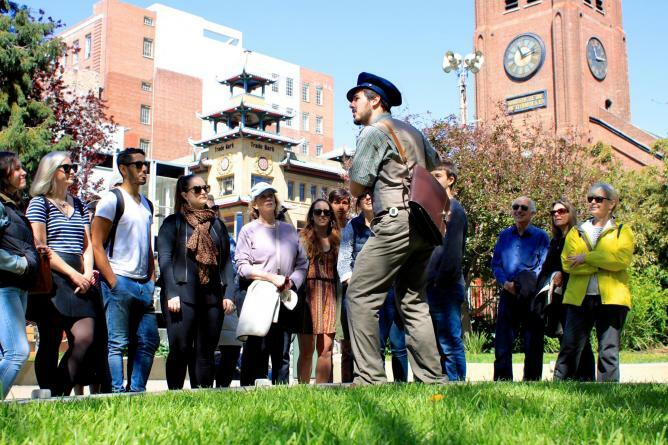 A little bit of history — combined with a few entertaining games and original songs — is only some of the fun you will have with Wild SF Walking Tours. Founders Wes and J. Jo created a tour company designed to share San Francisco’s history from a local’s perspective. Six tour guides dressed in costumes from the 1930s to the 1940s take participants around the city. Depending on the tour, attendees can see landmarks ranging from Transamerica Pyramid to Harvey Milk Plaza to Mission Dolores Park. There’s even a special night tour for those who are interested in stories of ghosts and mysteries. The tours run anywhere from one to four hours. Schedule an outing on the Wild SF Walking Tours website. People gathered for bicycle ride. Ride around on bicycles while learning about San Francisco’s diverse history. Shaping San Francisco is the organizer behind Cycles of History; co-director Chris Carlsson guides the tours. Shaping San Francisco encourages people to learn about San Francisco’s history off the beaten path. 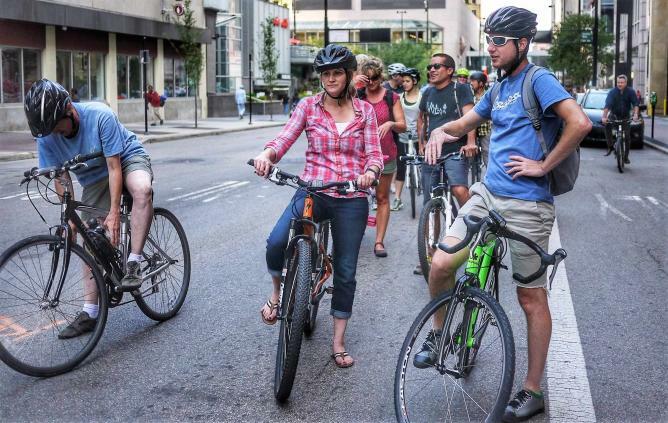 Incorporating bicycles into each tour allows riders to connect with the neighborhoods alongside tour routes. Tours range from learning about San Francisco’s environmental history to prominent social injustices that made history. Each tour runs for three hours. Check out Shaping San Francisco’s website to make a reservation.